Long considered the 'poor cousin' to gold, silver is forecast to shine in 2019 with a rally of more than 10% forecast by Capital Economics. "We expect silver prices to rally by more than 10% this year as safe-haven demand returns and mine production falters," Capital Economics wrote in a March 19 research note to clients. Silver climbed in recent months after marking out a solid bottom on the daily chart around the $14.20 an ounce area. Silver recently traded around $15.40 an ounce. Capital Economics projects silver gains toward $17.50 an ounce by year-end. Falling silver mine output in 2019, combined with fresh safe-haven investment demand means "silver will regain its status as one of the top commodity price performers in 2019," Capital Economics said. Let's break that down further. Sluggish economic growth both in the U.S. and around the globe will pressure stock markets lower, Capital Economics projects. In turn, this will stimulate investor "risk aversion" and spark asset reallocation into safe-havens including gold and silver, the firm predicts. Silver production at the world's largest mines has declined in recent years. A dozen of the largest silver mines registered declining output of about 9% in 2018. Notably, "the Escobal mine remains closed and we don’t expect it to restart until 2020 at the earliest," Capital Economics said. 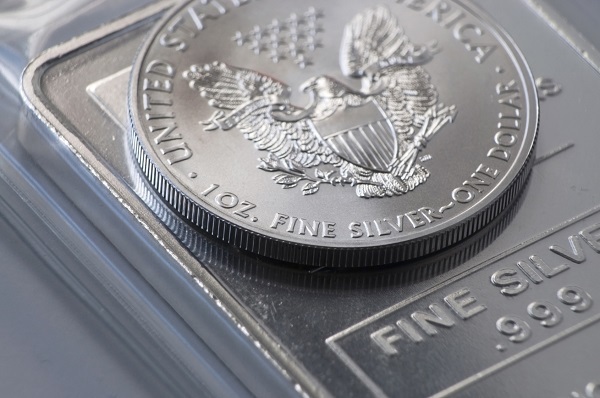 Investors clamoring for safe-haven tangible assets already boosted U.S. silver coin demand in early 2019. The U.S. Mint briefly ran out of silver coin inventory in February due to the heightened demand. Adding physical silver to your portfolio is easy. You can buy a 2019 1 ounce American Silver Eagle coin for as little as $18.19 an ounce (market prices constantly fluctuate). All silver and gold bullion coins carry a small premium over the spot price of silver or gold– usually 3-4%. That cover the coin's manufacture and handling, but that premium is a part of the return you receive when you sell. Allocating larger investments to silver bullion is simplified through a monster box purchase. Learn more about that here. Silver has under-performed gold dramatically in recent months. But, major investment firms turned bullish on silver. A large price rally is predicted this year in silver. If you haven't fully diversified your portfolio, consider adding silver assets now.